Borough Market is amazing! I don't even know where to begin with this post. Maybe I should preface with, I was there months ago so this post is long overdue, but better late than never! 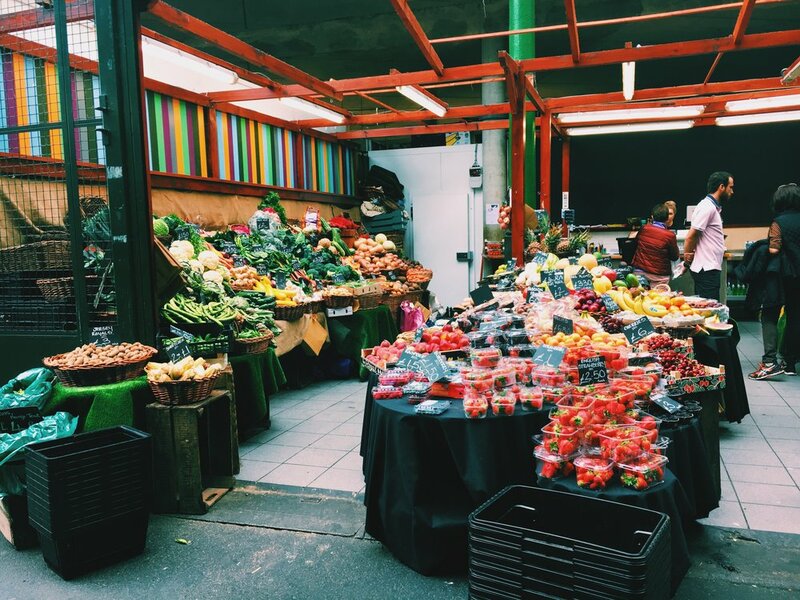 The food is absolutely to die for and if you're a foodie, this London market HAS to be on your bucket list. The hustle and bustle of Borough Market. For starters the actual market aspect of it is beautiful and overwhelming. There are stalls galore filled with fresh fruit, veg, seafood, meat, tea - basically anything you need, you'll find it there. Walking around Borough Market feels like you're walking in the description of a good book. The colours, smells, and atmosphere are second to none. One of the many fruit stalls lining the market walls. Sammy and I weren't there to do our weekly shop though. We were there for the food stalls, and oh my, are there a lot of food stalls. There was everything from German sausages to Pad Thai. From salt beef sandwiches to vegan cheesecake. I know I've just had lunch, but I'm salivating at the thought of it all! The cutest companion with Raclette. 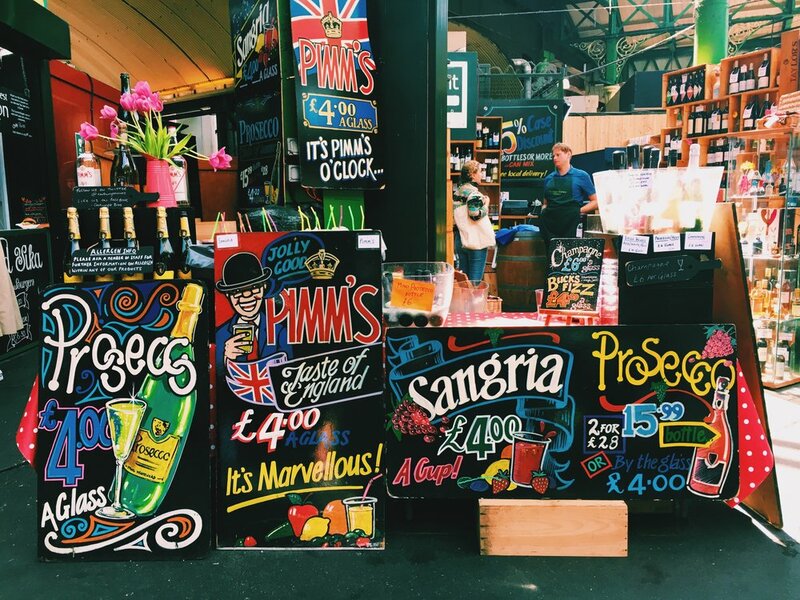 Lastly, as it was summer, I couldn't leave Borough Market without a cool glass of fresh Pimm's at one of the many stalls that were selling it. The first sip was amazing and totally had me flashbacking to the Hong Kong Sevens, where Pimm's is primarily my drink of choice. Borough Market was an amazing adventure and it was a lovely way to spend an afternoon with Sammy. Who you will remember from this post and this post! He's a massive foodie and oh man did we have a great time eating our way through the market. If you're in London at any point, I would highly recommend snooping around and grabbing a bite of everything!